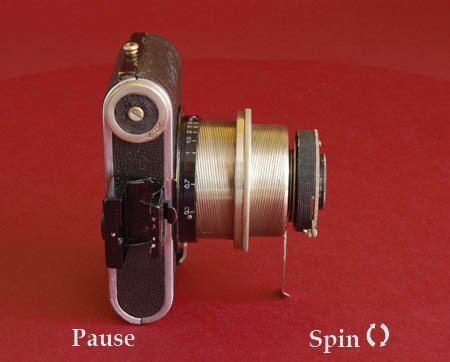 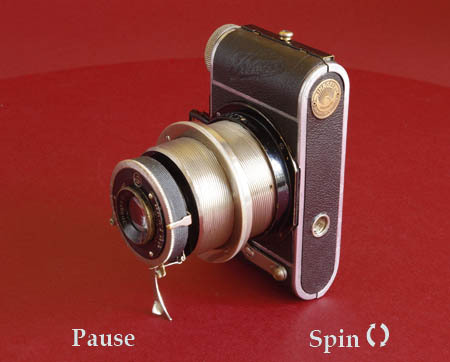 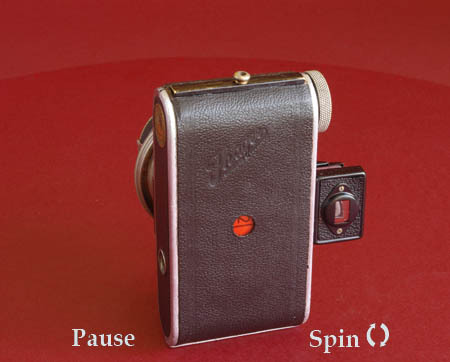 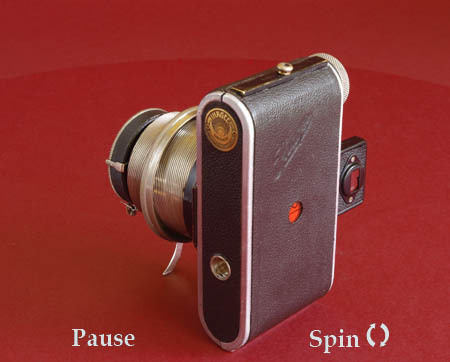 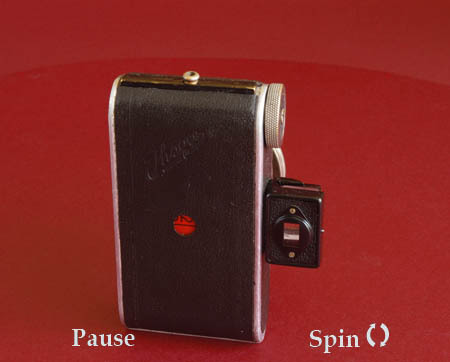 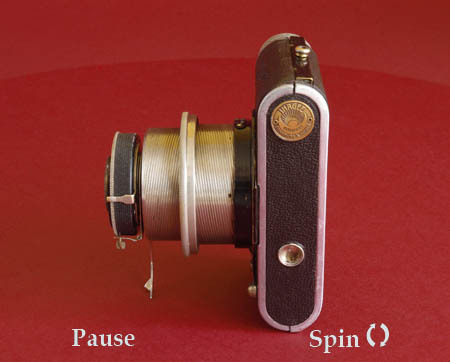 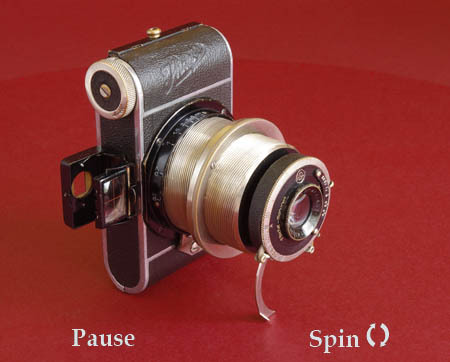 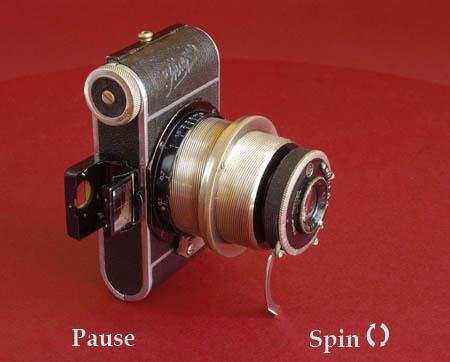 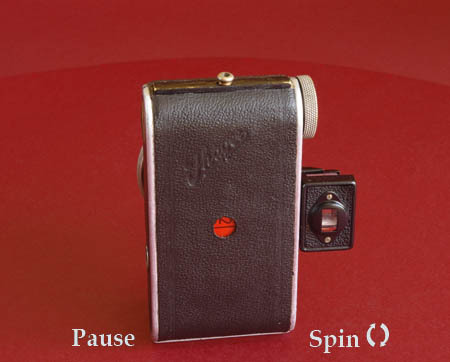 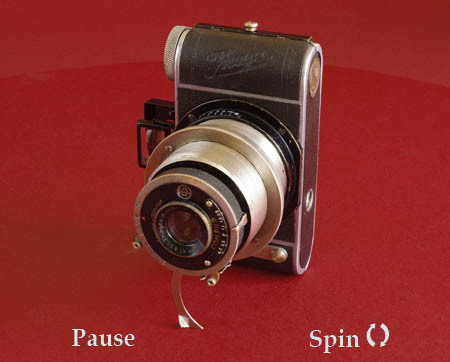 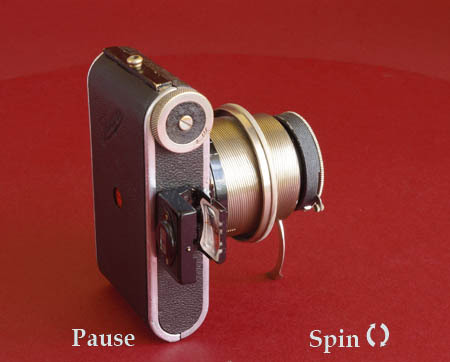 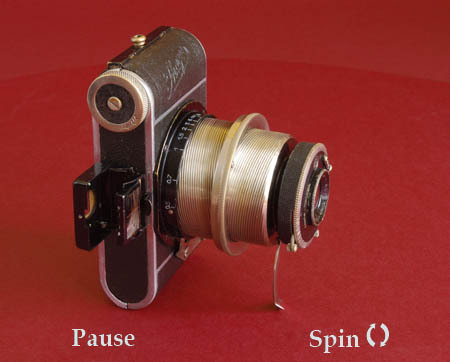 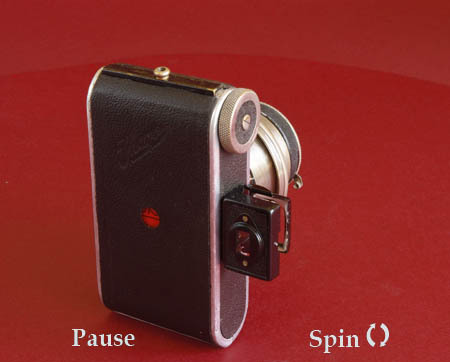 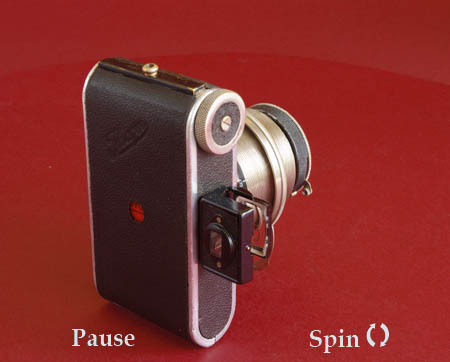 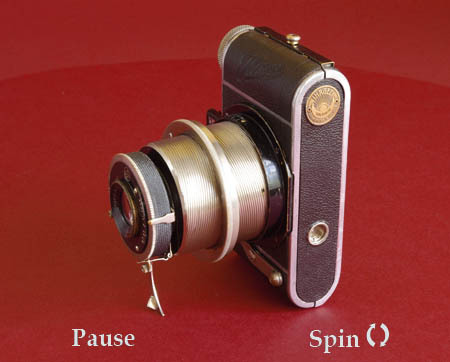 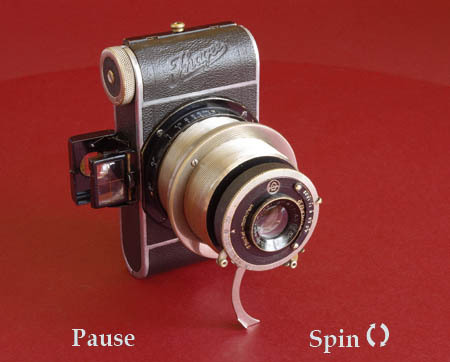 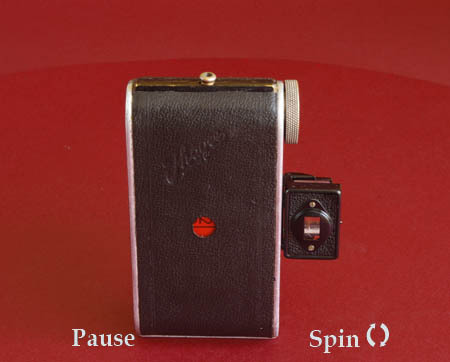 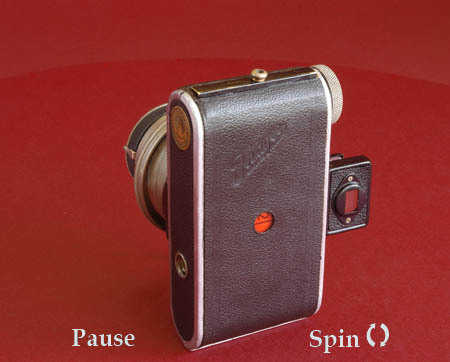 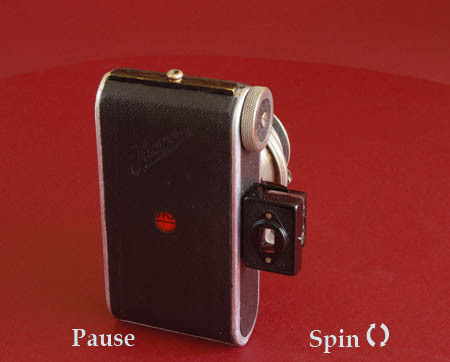 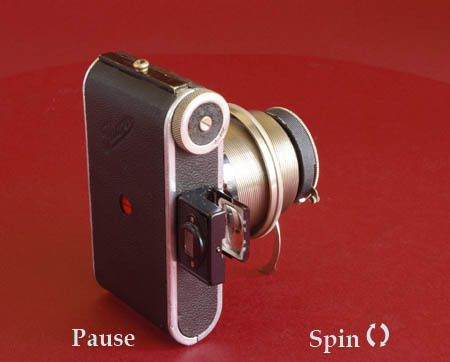 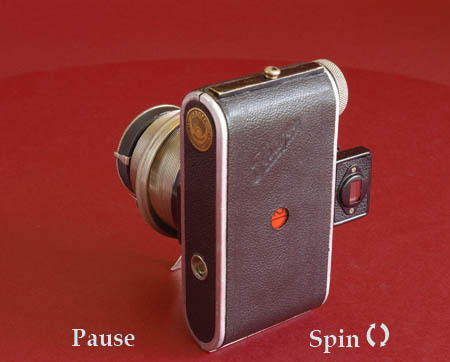 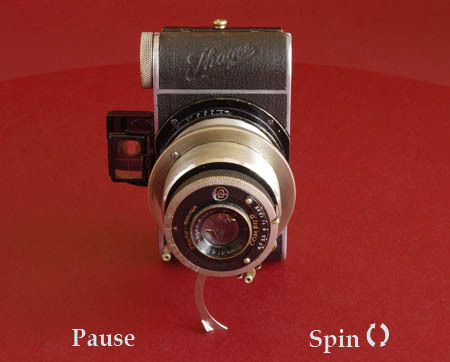 Ihagee Parvola, vintage camera - all round view at 10° intervals. 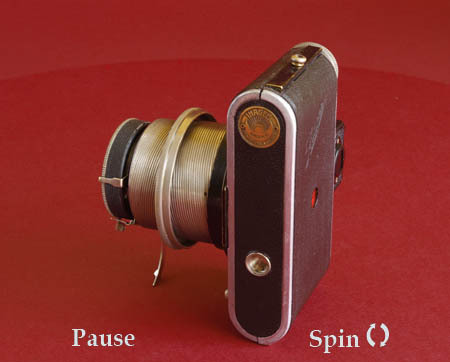 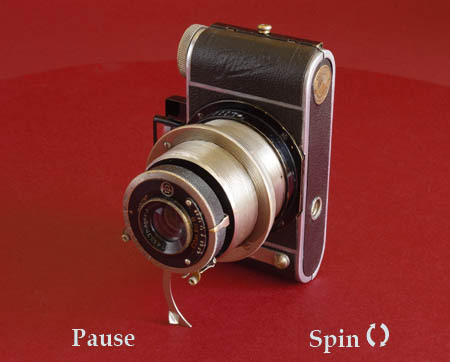 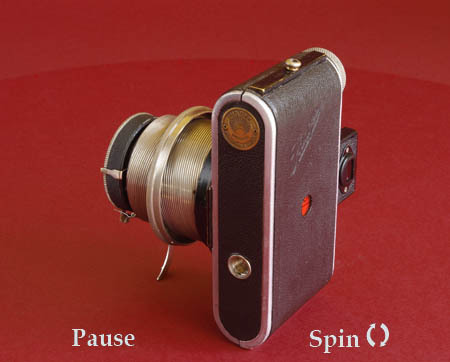 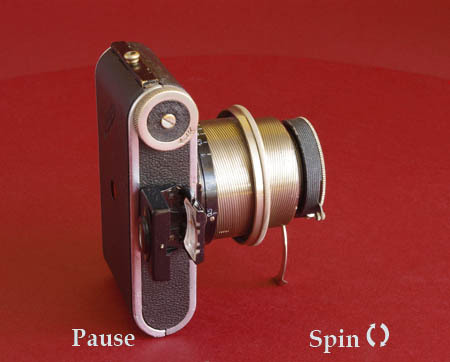 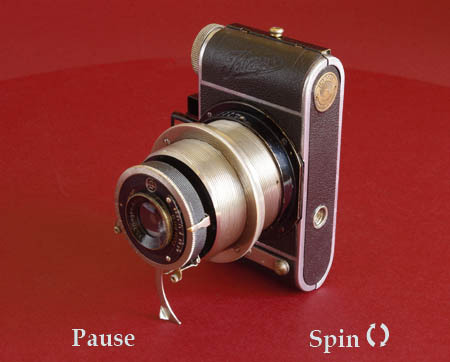 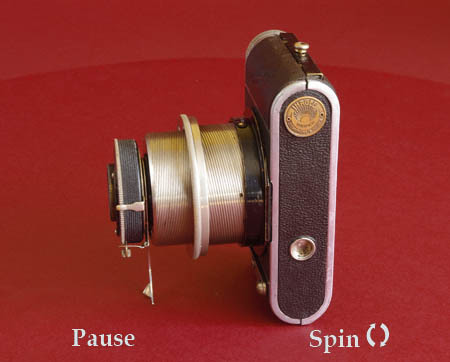 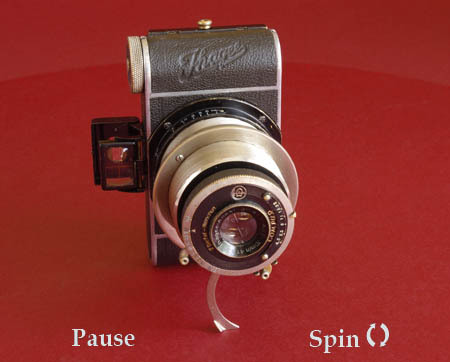 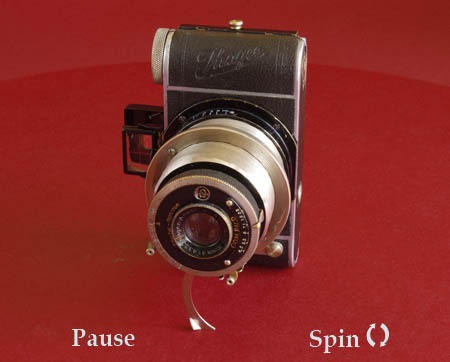 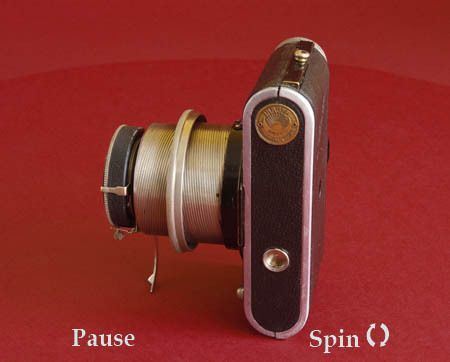 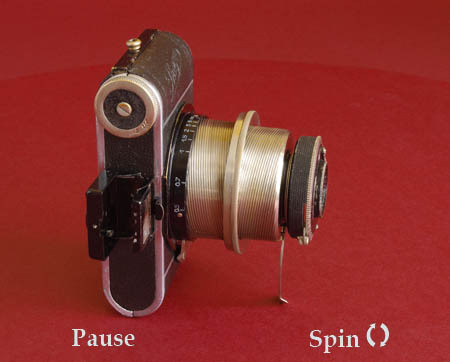 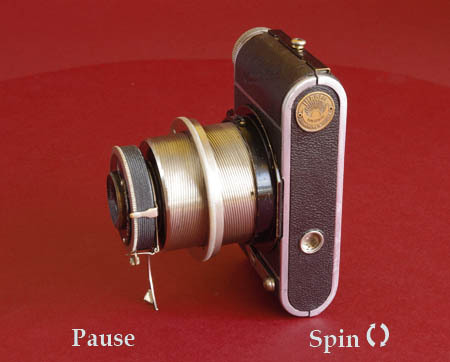 The Ihagee Parvola 1350 is shown here standing on its retractable stand in portrait (upright) format and the lens barrel extended to the closest focus of 50cm. 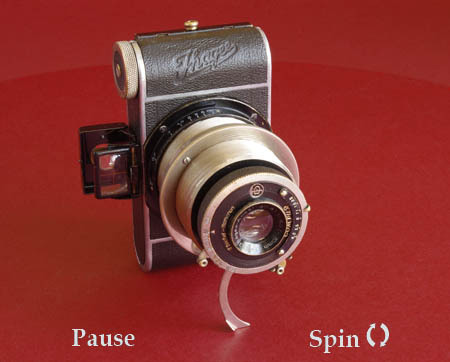 The brass Ihagee badge is also visible on the bottom. This badge was sometimes mounted on the bottom, but seems to have migrated to the top later in the production run.